U2 have extended their 30th anniversary tour of “The Joshua Tree” with a series of new North American dates this fall and concerts in Mexico and South America. Currently playing North American stadiums and set to hit Europe next month, U2 have added seven US shows to the run starting September 3 in Detroit, MI and wrapping up in San Diego, CA on September 22…including stops in Buffalo, Minneapolis, Indianapolis, Kansas City and St. Louis in between. In October the tour will head to Mexico City followed by concerts in Bogota, Buenos Aires, Santiago and Sao Paulo. A U2.com subscribers presale for all newly-announced shows runs Thursday, June 8th at 10am through Saturday, June 10th at 5pm local times. For the US concerts, general public tickets are available on Monday, June 12 at various times per city – check U2.com for full details. General public seats for Mexico City will go on sale Wednesday, June 14, while the Bogota, Buenos Aires and Santiago shows are available Thursday, June 15 and the Sao Paulo event on Friday, June 16. Special guest for the North America concert dates are to be announced, while Noel Gallagher’s High Flying Birds have been confirmed as special guest for all shows in Mexico and South America. 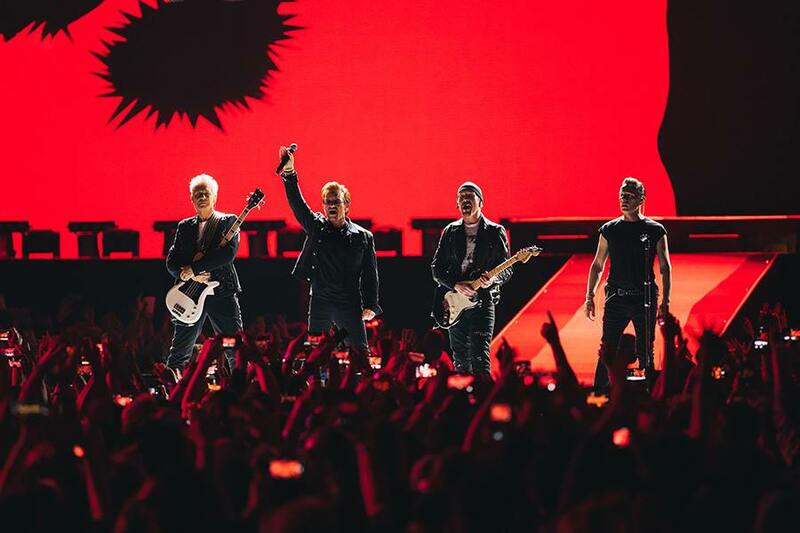 U2 launched The Joshua Tree Tour 2017 in Vancouver, BC on May 12; the first North American leg ends in Cleveland, OH on July 1 and will be followed a 13-date trek across Europe that will feature multiple nights in London, Rome, Paris and Amsterdam. U2 released a series of 30th anniversary reissues of “The Joshua Tree” on June 2. Issued across multiple formats and packages – including standard cd, vinyl and digital, 2CD Deluxe, and CD and Vinyl Super Deluxe Box Sets with digital download cards – the revamped edition comes complete with outtakes, b-sides, a bunch of 2017 remixes by Daniel Lanois, St Francis Hotel, Jacknife Lee, Steve Lillywhite and Flood, and a 1987 live recording of The Joshua Tree Tour from New York’s Madison Square Gardens.